Today we finally got around to trying out a food truck that we’ve seen around town a lot and heard great things about. 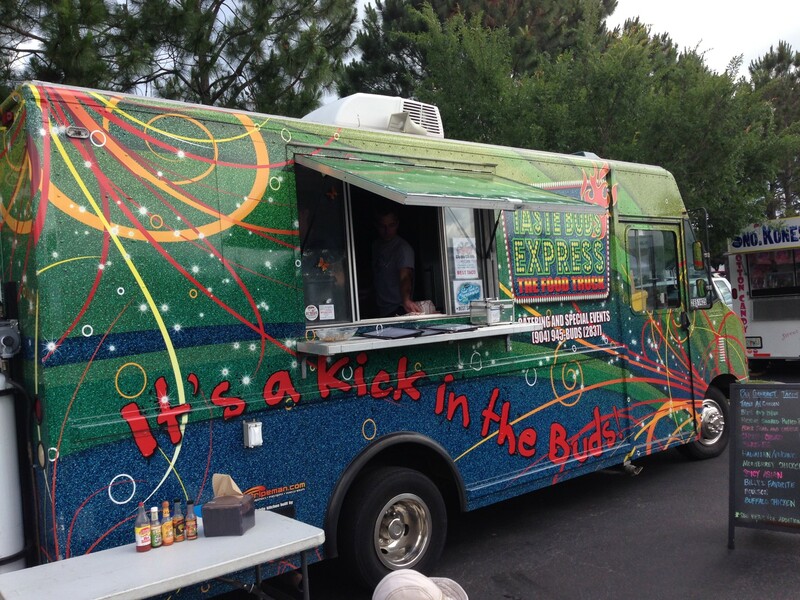 Taste Buds Express food truck is out and about around Jacksonville quite a bit. They are usually part of the daily food truck lunch lineup in the Downtown area and you can often catch them at different special events going on around town during the weekend. They recently claimed the coveted title of “Best Taco” at the 3rd Annual Food Truck Championship back in May. And since so many of the food trucks in town serve up one kind of taco or another, we were intrigued and eager to see what made Taste Buds Express’ tacos so great. After trying three different tacos of theirs today, I just have to say…I wish I had sought them out and tried their food earlier. Today we had the Billy’s Favorite Taco, the Spicy Asian Taco, and the Volcanic Taco. The special today was get two tacos and an order of chips for $10. What a deal! So, we also got a big side of their Cajun Chips with salsa and queso. The way Taste Buds Express works is that you first pick the meat that you’d like on your taco (hickory smoked pork, grilled chicken, steak, or just veggie), then the flavor. They serve their tacos wrapped in soft flour tortillas, but you have the option to change that up too, if corn tortillas are more your style. So you get to sort of customize your taco the way you want it. The Billy’s Favorite was the winning taco at the Food Truck Championship, so we were super excited to try that one in particular. We ordered ours with chicken and stuck with the flour tortilla. The chicken was perfectly seasoned and juicy. It was topped with bacon, pico sauce, and sautéed onions, mushrooms, and peppers. Blue cheese crumbles gave it a nice twang and the addition of wonton crisps gave the taco good texture and crunch. Reading the description of the Billy’s Favorite on the menu, it seemed like sort of a random combination of ingredients. But the flavors all worked together and it was easy to see why this taco was the winner. Up next was the Spicy Asian Taco, which we ordered with steak. Again, the meat itself was tender and delicious and the toppings tied it all together. The steak was served on top of a bed of yummy yellow rice, then topped with grilled onions and peppers, teriyaki sauce, and more of those crunchy wonton crisps. The sriracha sauce was the real key ingredient on this taco. The heat in my first bite caught me a little off-guard, but overall it had a really nice level of spiciness and a great flavor. The last taco we tried was the Volcanic Taco with chicken. The pineapple glaze on this taco made the juicy, tender chicken even better and gave it a nice, sweet flavor. Bacon, pico, cheese, and wonton crisps topped the delicious meat. The “volcanic” part of the taco came from the addition of sriracha sauce, which really added a nice touch of heat and lots of flavor. If you’re not into spicy foods, Taste Buds Express also offers a Hawaiian Taco, which is just like the Volcanic Taco but without the sriracha. 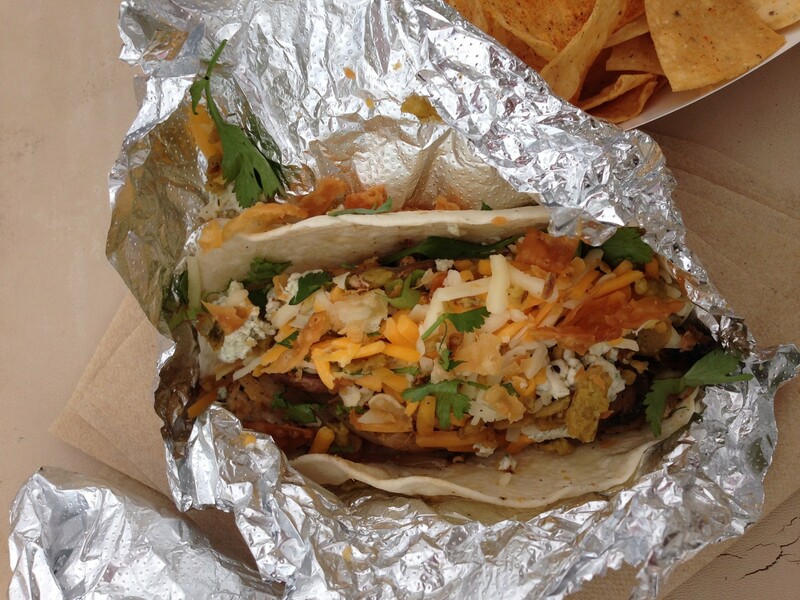 And we’d be willing to bet it is just as amazing as the other tacos we tried today. The Cajun Chips that came with our tacos were a really nice surprise. 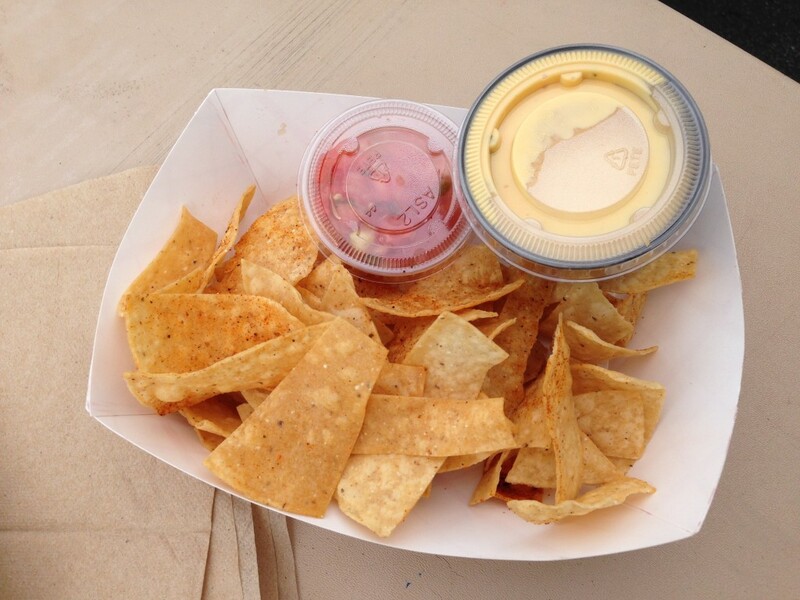 Usually when Mexican food is served, tortilla chips are just a typical run-of-the-mill side…nothing special. But these were, well really special. And we got a lot of them! The chips themselves were sprinkled with a spicy cajun seasoning. And the irregular size and shape of the chips made it clear that they were handcut and homemade. The queso was just as awesome. It was real honest-to-goodness cheese, not an artificial cheese flavored goop. It was really good queso. Taste Buds Express calls their style of food “comfort Tex-Mex.” After trying a few of their tacos and chips, I’d say that is an accurate description. They take delicious, perfectly seasoned meat and familiar, tasty toppings and combine them in really unique and fun ways. It’s easy to see why they won Best Taco and why they are a favorite in the food truck lineup around town. We can’t wait to track them down again soon and try a few more tacos! 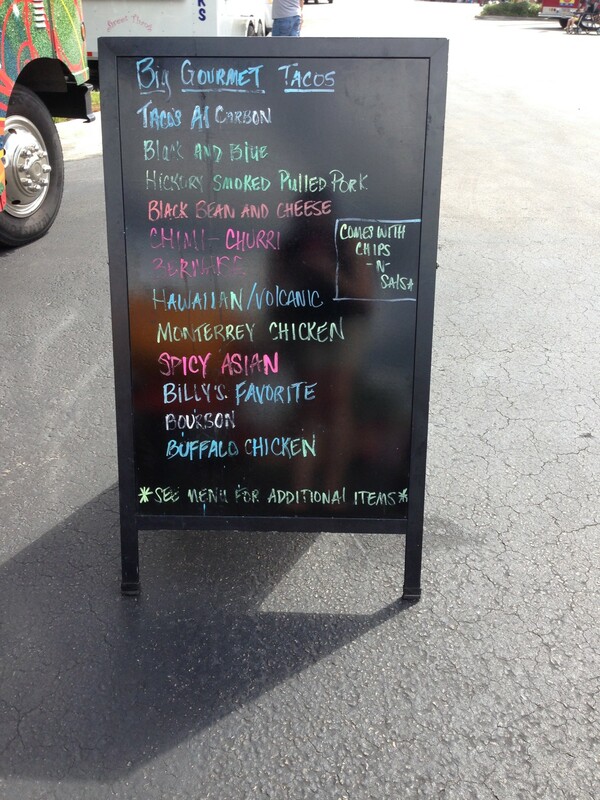 Tagged Food Truck, outdoor seating, Southern/Soul, Southwestern, Tex-Mex, vegan friendly. Bookmark the permalink.